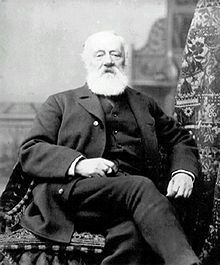 Antonio Meucci (Florence, April 13, 1808 – October 18, 1889) was an Italian inventor. He invented of one of the first types of telephone developed a voice communication apparatus in 1857. In 2002, the United States House of Representatives ruled that he invented the first working telephone, although Alexander Graham Bell was first to patent it. This page was last changed on 29 March 2014, at 01:31.